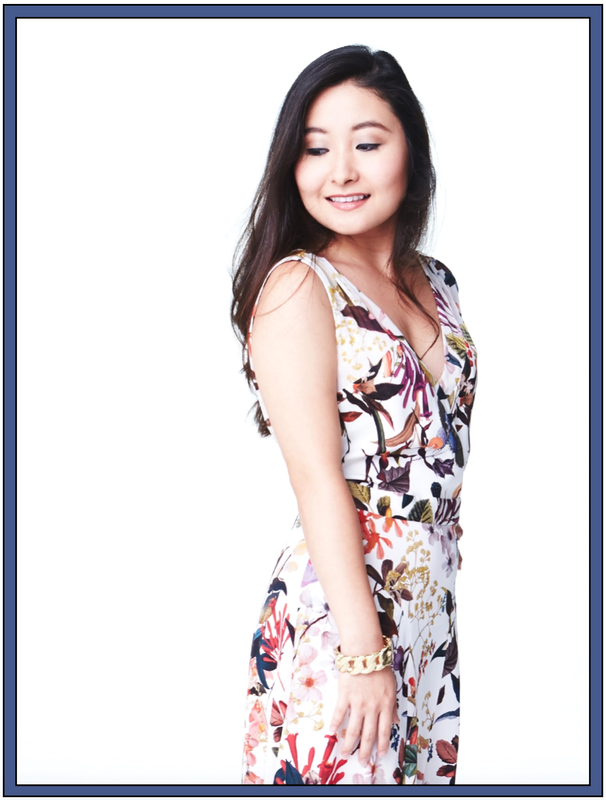 Love this Floral Print Silk Twill Dress from the Nordstrom Signature and Caroline Issa collection. 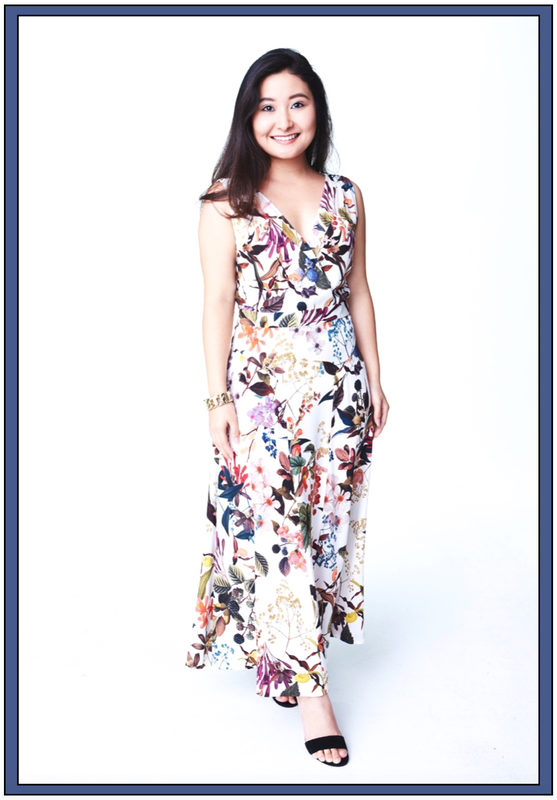 Such a beautiful print and elegant silhouette! I could twirl all day in it! Although I cannot recall many vivid memories from my early childhood, I still remember my first Nordstrom experience at the age of three because it was the very first day I fell in love with shoes. That day, I tagged along with my mom and aunt while they went shoe shopping at Nordstrom (At the time, the Nordstrom store located in Hawai'i only sold shoes). In the store, I held my mother’s hand as the three of us perused through the women’s shoe department. Of course, I was not allowed to touch anything, a task that seemed virtually impossible at the time. I tried my best to sit patiently and quietly on the chair while they both tried on shoes, but there was no hiding the fact that I was beyond bored. The Nordstrom sales associate who was helping my mother went above and beyond the expectations as far as customer service. He asked me to sit all the way back in the chair, removed my sandals, and placed a pair of high heels onto my bare feet. Although they were incredibly large, I couldn't stop admiring them. The size of the shoes didn't matter to me because that small act of kindness made me feel included and like a pampered princess. I remember smiling from ear-to-ear. After placing the heels back into its box and measuring my feet, he disappeared into the maze of shoes. Before I knew it, he returned with a shoe box and placed it on the floor. He lifted the lid and pushed back the tissue paper to reveal a pair of light-up white Stride Rite sneakers with pink sparkles and embellishments. It was love at first sight. He gently placed them on my feet, and this time, the shoes fit perfectly. It was a Cinderella moment I'll never forget. I stood up, walked, and hopped around the store amazed that a magenta light would flicker out from the heel and sole of the shoes every time I took a step. Still, till this day, I can't help but feel a bit spoiled every time I try on shoes or clothes in Nordstrom because the customer service is always amazing. As our shopping trip came to a close, the wonderful sales associate handed me a Nordstrom balloon and thanked me for my patience. Not only had I gained a new pair of rad shoes, I got to take home a balloon. I honestly felt as if I hit the jackpot! Little did I know, seventeen years later I would be offered a chance to partake in a Nordstrom experience like never before. 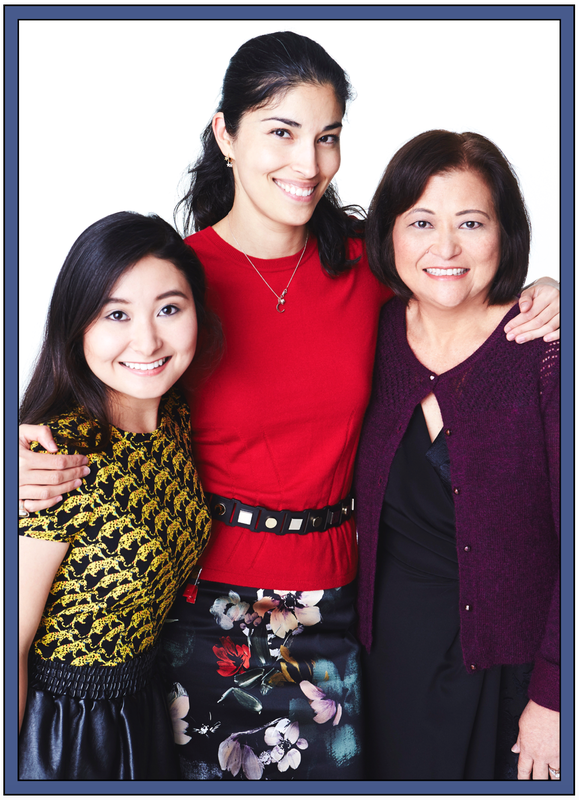 Last Thursday, my mom and I flew to Seattle, Washington for the Nordstrom Extraordinary Experience with Caroline Issa. Ms. Issa is the Executive Fashion Director of Tank magazine, Fashion Director of the Tank Form Consulting Agency, Editor-in-Chief of Because magazine, Designer for the Nordstrom Signature and Caroline Issa Collection, and on top of all that, a style icon. Before meeting her in person, I had read various articles about her and viewed her impeccable style through the many Fashion Week street-style photos online. I can honestly say that after meeting her, she is even more beautiful in person, incredibly elegant, eloquent, and down-to-earth. 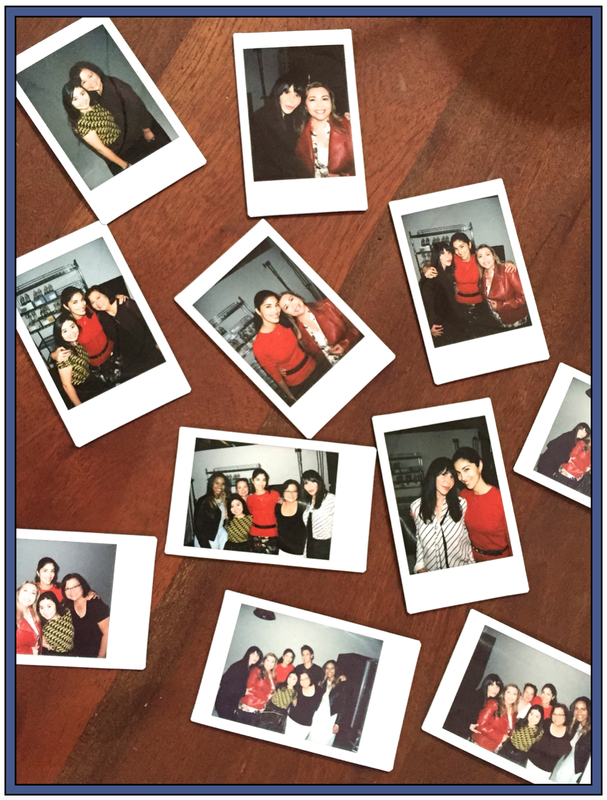 The first day of the Nordstrom Experience began with a meet-and-greet over coffee at the Starbucks Reserve Roastery and Tasting Room with Rose and Marcy (two amazing women who also participated in the Nordstrom Experience), Alyssa Watts (Nordstrom’s Marketing Planner), and of course, Caroline Issa. After, we all headed to Studio N, where we each had our own photo shoot wearing pieces designed by Caroline. Everyone at the studio was very friendly and constantly made sure that we were well taken care of. They even brought out water bottles and an assortment of snacks for us to munch on before dinner. As for the actual photo shoot experience, our make-up artist, Zoe Hoffman, dolled us up for the camera and shared with us a few of her make-up tips and her personal favorite beauty products. 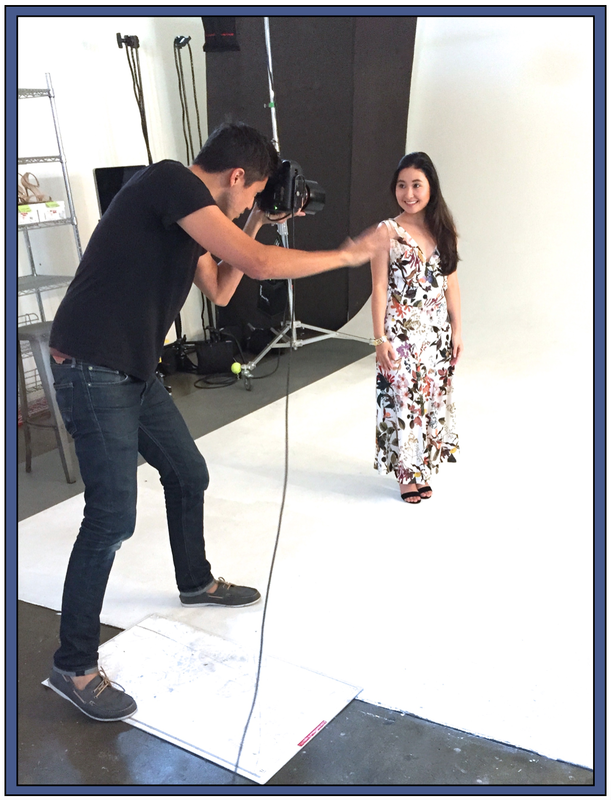 When it came time to take the photos, our photographer, Matthew Sumi, allowed us to observe a Nordstrom photo shoot to see how one of their models posed for the camera. Even if I often pose in front of a camera for the outfit posts on my blog, I had never done a professional photo shoot like that before. I was a bit nervous at first, but he encouraged me to just have fun and that is exactly what I did. 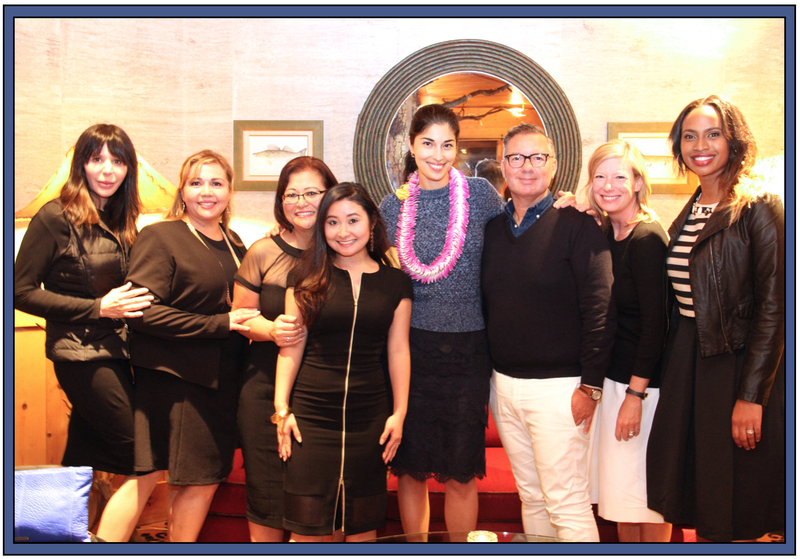 Later that night, we all gathered for a fabulous seafood dinner at Six-Seven Restaurant with Caroline and Nordstrom’s Signature design team: Marcus Brown, the Senior Design Director and Carrie Vanderslice, the Senior Product Merchandiser and Brand Manager (Studio, Collectors, and Encore). Both Marcus and Carrie are such lovely, humble people who were such a joy to talk to and dine with. It was incredible to be able to talk to everyone about all different subjects from fashion, to food, to life lessons. However, it was even more marvelous to watch how Caroline and her design team interacted with one another because they conversed as if they were family. It was bittersweet to say our goodbyes at the end of the night because that evening was nothing short of magical. The second day of the Nordstrom Extraordinary Experience was dedicated to shopping at the Flagship store in Seattle with a personal stylist. Once we arrived I met Sarah Koss, the Personal Styling Manager, who helped me and my mom during our shopping trip. She was incredibly sweet and wonderful to collaborate with on picking new items for my future blog posts. Looking back at all the years I have shopped at Nordstrom, it is no surprise that the Nordstrom Extraordinary Experience was above and beyond what I could have ever hoped for. Over the years my taste in shoes has surely departed from light-up sneakers, but Nordstrom’s dedication and commitment to outstanding customer service has not altered one bit. Nordstrom is a company that I have the utmost respect for because John W. Nordstrom's founding philosophy: to offer the customer the best possible service, selection, quality and value, still holds true today. It is incredibly few and far between to find companies who offer opportunities such as the Nordstrom Extraordinary Experiences to their customers, and who still stand on the solid foundation in which it was built. Nordstrom is just one of those rare gems who does exactly that, but of course, with style. 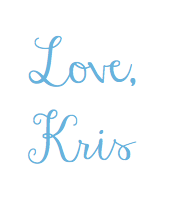 ***Disclaimer: This is a personal weblog. The opinions expressed here are my own. I am not being sponsored.